We are a family business established in 1990 and we are the premier cruise company on the River Tyne. We are based in the heart of the city centre on Newcastle Quayside and located next to Gateshead Millennium Bridge. During the last twenty five years we have seen many changes that reflect the great development in the heart of NewcastleGateshead and along the banks of the River Tyne. 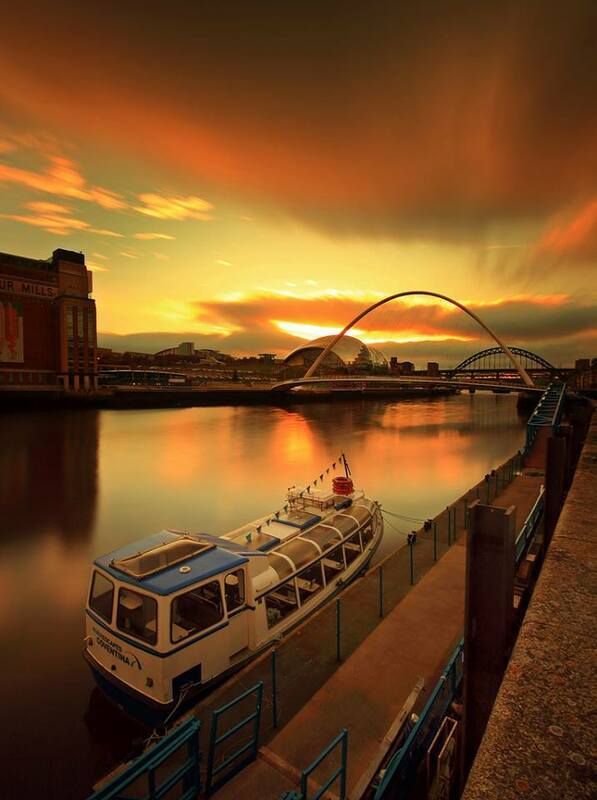 Our cruises offer an unrivalled way to experience NewcastleGateshead’s famous riverside and to add that extra special touch we can even arrange for you to sail under Gateshead Millennium Bridge too. With a fleet of two luxury equipped vessels accommodating up to 150 people, the River Escapes Fortuna and the River Escapes Coventina, we have something to offer all tastes, budgets and requirements. All vessels are comfortable with bar and catering facilities onboard so you can sit back, relax and enjoy the changing sights of the River Tyne from the best vantage point in the city – the river itself! River Escapes vessels are available for private charter and individual or group bookings are welcome on all scheduled cruises.